Available in English, Hindi, Bangla, Nepali, Sinhala. Newsletter - Issue No. 2. Launch of White Paper: Mitigation and Adaptation with Eco-Village Development (EVD) Solutions. 2nd edition 2018. Download: Full Report, 45 pp. (pdf, 1 MB) and Summary, 4 pp. (pdf, 1 MB). 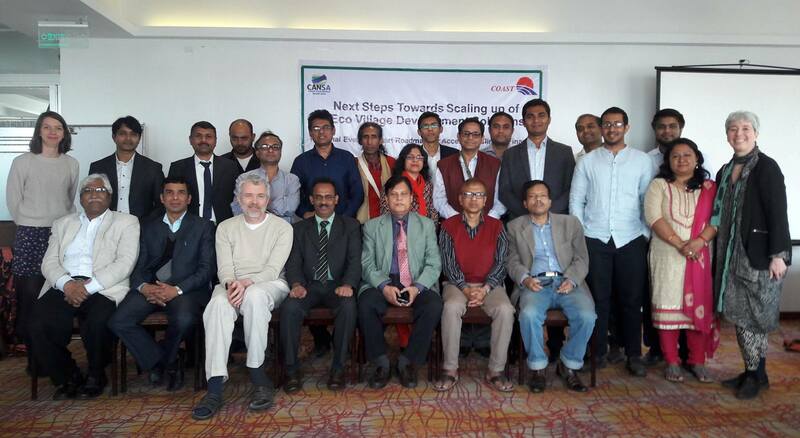 By EVD Project Partners: IDEA (Sri Lanka), CRT (Nepal), Grameen Shakti (Bangladesh), INSEDA (India), DIB (Denmark), CANSA, and INFORSE. By INFORSE-South Asia Coordinator and Focal Points: INSEDA (India), IDEA (Sri Lanka), CRT (Nepal), Grameen Shakti (Bangladesh). 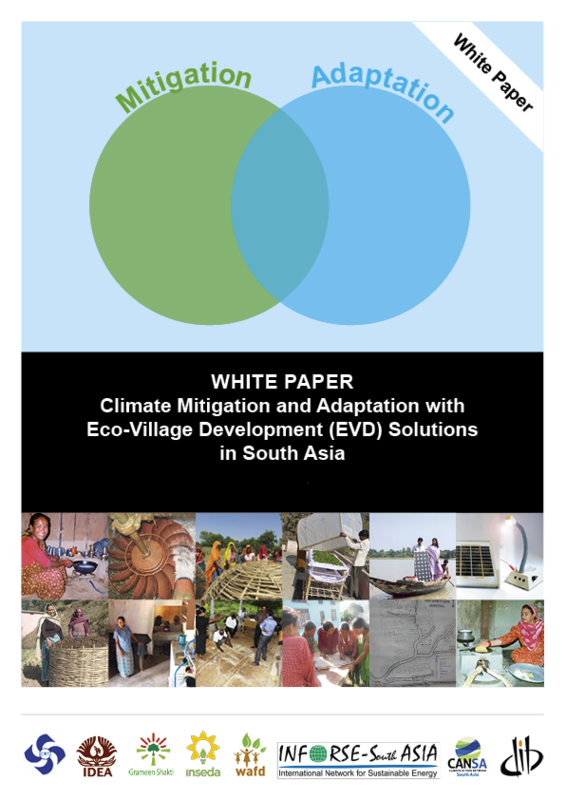 Launch of Publication: White Paper: Eco-Village Development Mitigation and Adaptation. Organised by the United Nations Economic and Social Commission for Asia and the Pacific (UNESCAP). Regional preparatory event for the high-level political forum on sustainable development that will be held under the auspices of the UN ECOSOC in New York in July 2018. The event was focusing on the UN Sustainable Development Goals (SDGs): 6, 7, 11, 12, 15 and 17. 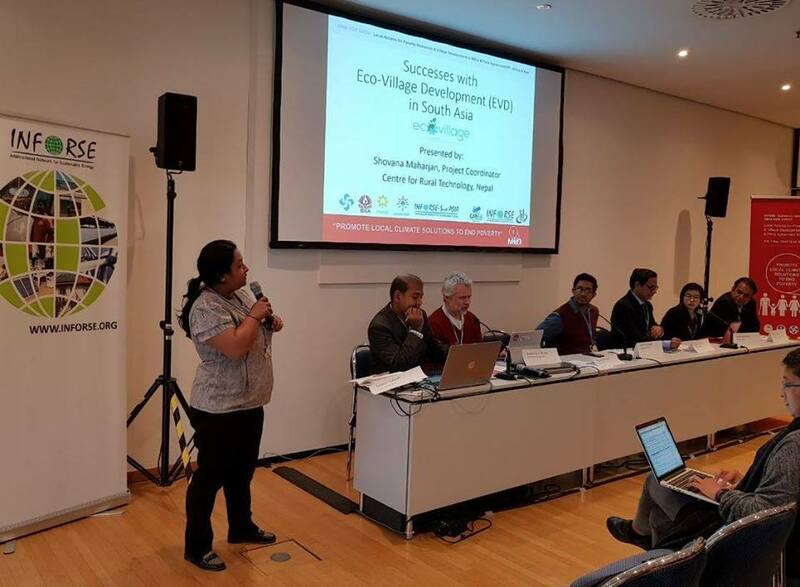 On the Parallel Session on SDG7 (energy), there was a presentation of the Eco-Village Development Concept and Project by Sohel Ahmed, Grameen Shakti, Bangladesh. 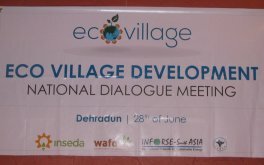 India: Dialogue Meeting on Eco Village Development on Block Level, Chamba, Uttarakhand. Read more on the EVD Project, and at INSEDA on EVD. 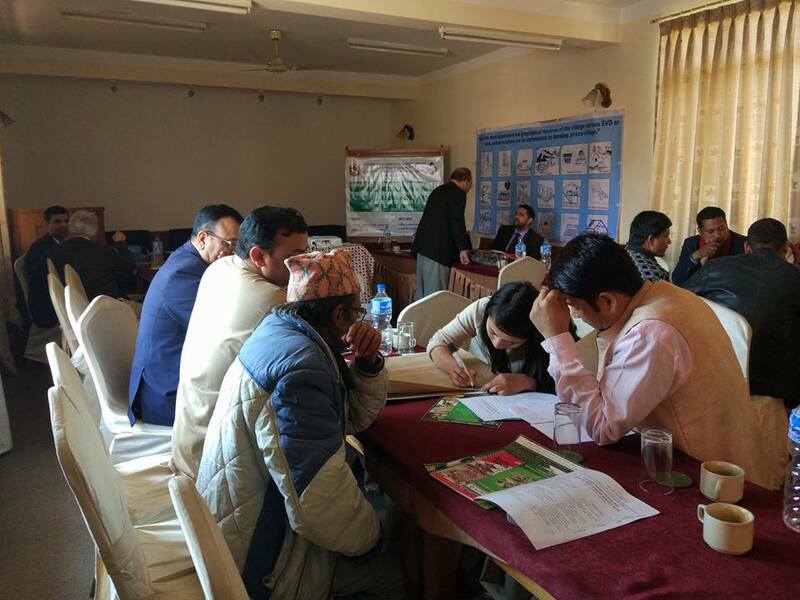 Nepal: Interaction workshop with Micro Finance Institutions for upscaling Eco Village Development (EVD) Concept at Dhulikhel. Read more on the EVD Project. Published by INFORSE-South Asia /INSEDA. Download: Newsletter Issue #1 (18 pp. pdf 3.9 MB) or from INSEDA's website as pdf. 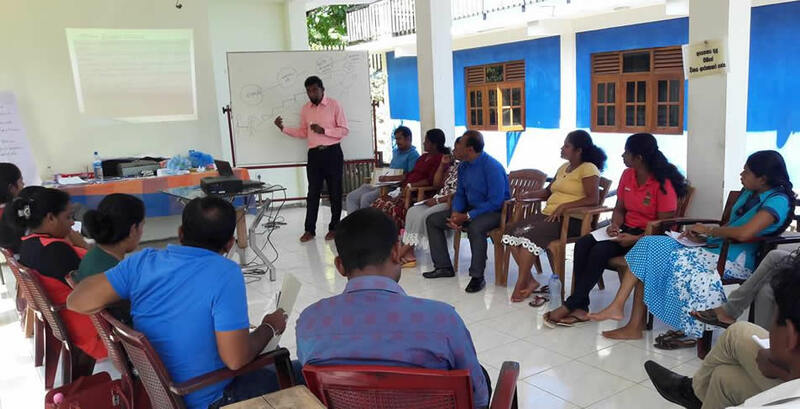 Training of Trainers (ToT) programme on Sustainable Village Development planning for development officers in Matale, Sri Lanka. Organised by IDEA, Sri Lanka Linking Eco Village Development activities with Gramashakthi People's movement together with Matale District Secretariat. Read more on the EVD Project and at IDEA's EVD2 and EVD1 Project website. Now available also in Hindi, Nepalese, Bangla, and Sinhala ! Link to Publication's Contents, where you can also download the 60-page Publication in English, Hindi, Nepalese, Bangla, and Sinhala. 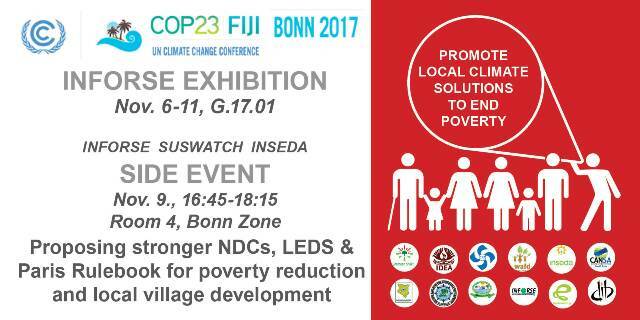 Eco-Village Development Concept will be presented at a parallel session. More information at the co-organisers: INSEDA, WAFD and CANSA as well at the EVD Project. - INFORSE at UNFCCC SB 44. 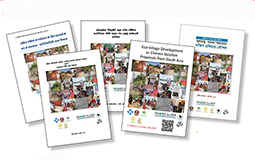 Updated Eco Village Development (EVD) Publication and Policy Brief are at EVD Project. 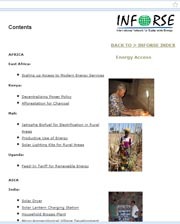 Download the full issue from INFORSE's web site Sustainable Energy News. 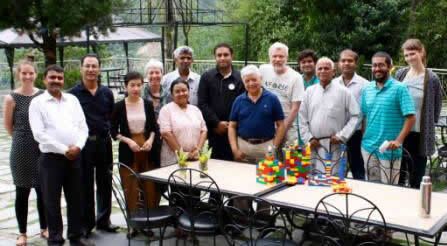 CRT-Nepal and the Eco-Village Development Project (EVD). 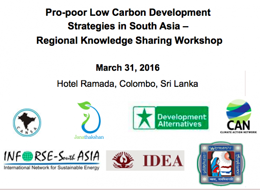 Pro-poor Low Carbon Development Strategies in South Asia - Regional Knowledge Sharing Workshop in Colombo, Sri Lanka. 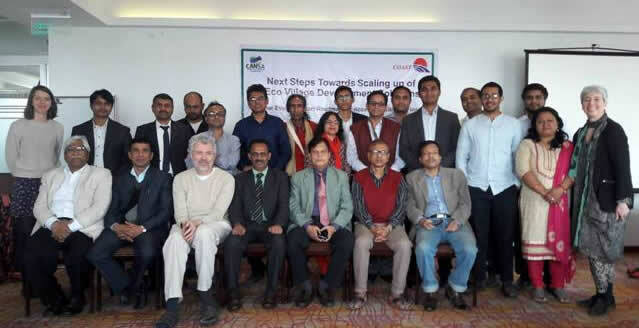 Low Carbon Development (LCD) Project and CAN South Asia. Read the evaluation of the Agreement: here. 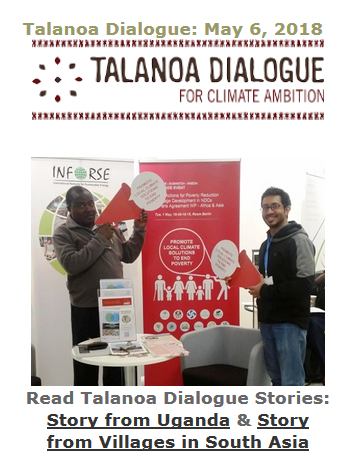 NGOs from INFORSE-Asia participated as exhibitors, civil society side event organisers, and observers of the negotiation at the COP21 Conference together with other INFORSE organisations. Success on Advocacy: Grameen Shakti is going to get the CDM fund as recognized of it Solar Home System dissemination all over Bangladesh. It has taken almost 2 years to the success. Around 182,000 CER has been issued in favor of Grameen Shakti for replacing fossil fuel kerosene and sustainable development for low-carbon future. 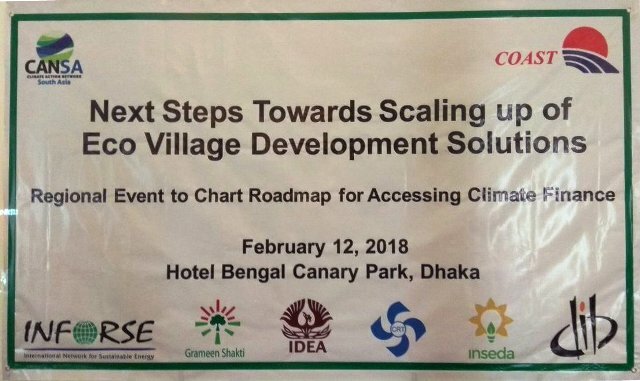 Read more: UNFCCC CDM, article "Growing Solar Home System Earns Bangladesh UN fund; First in the World" in a leading Daily Newspaper in Bangladesh, EVD Cooperation Project on Advocacy. 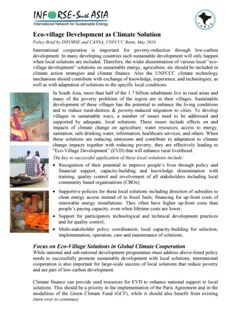 "Low-Carbon Development Strategies with Focus on Women and Poverty Reduction in India"
Read more: Report at AIWC web site ( pdf file) and Low Carbon Development (LCD) Project. 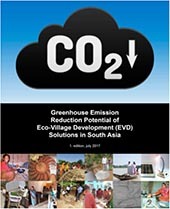 Read more: Proceedings (pdf file 2.5 MB),and Projects on Eco-Village development (EVD) and Low Carbon Strategies Development (LCD). 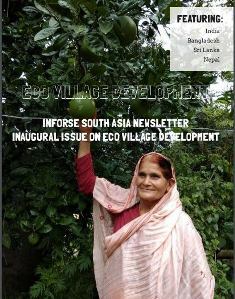 Title: Rural Development with Low Carbon, Eco-Village Solutions in South Asia. The Side Event was organised by NGO Partners in South Asia in the framework of the new EVD Project in 2015-2017. The NGO partners include the INFORSE members: CRT (Nepal), IDEA (Sri Lanka), Grameen Shakti (Bangladesh), INSEDA, AIWC, WAFD (India), DIB (Denmark), and CAN-South Asia. 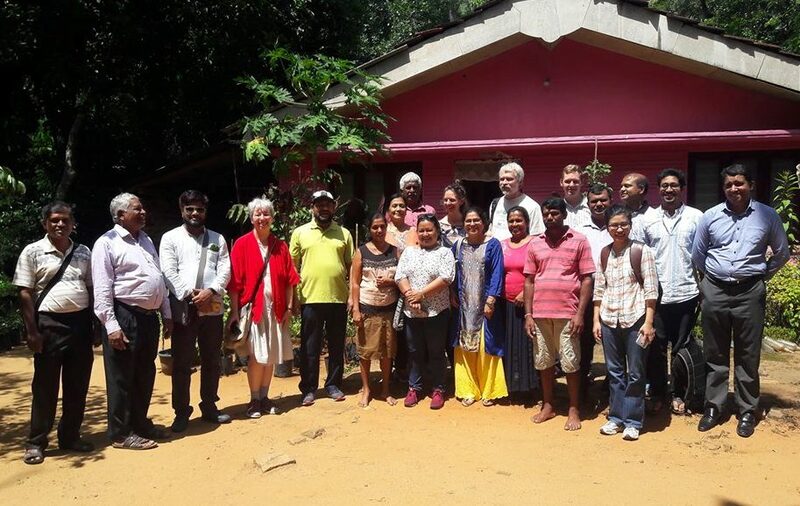 Kick-off Project Meeting and Seminar on the Advocacy on Sustainable Village Development Project in India. 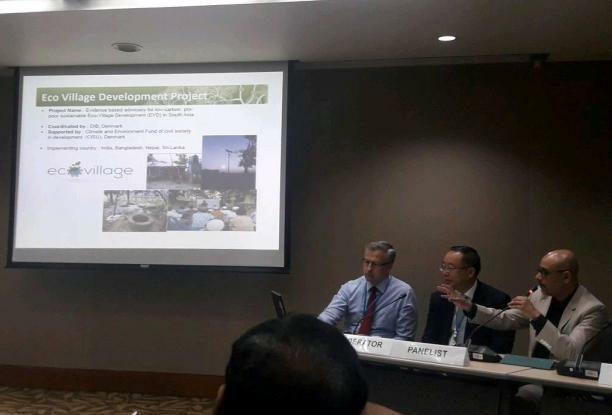 Read more: Eco-Village Development (EVD) Project's web site. Project Title: Evidence Based, Low Carbon, Pro-Poor Advocacy on Sustainable Eco-Village Development (EVD). 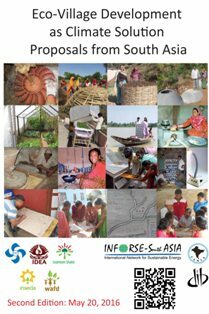 The participating INFORSE members are: INFORSE South Asia Coordinator INSEDA (India) and INFORSE national focal points as CRT (Nepal), IDEA (Sri Lanka), Grameen Shakti (Bangladesh), AIWC, WAFD (India), and DIB (Denmark),which is Coordinator. Among the NGO Project Partners is CAN-South Asia. Launch Project: Low-Carbon Strategies - NGO Networks' Cooperation Project in East & West Africa, South Asia and Latin America. Cases in Asia and Africa. Compiled by the INFORSE members. 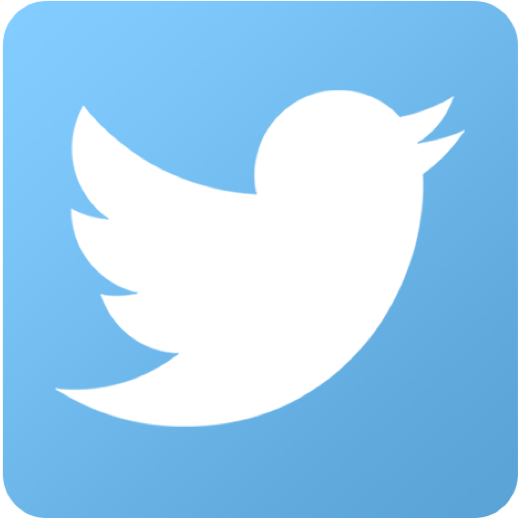 First launched at UNFCCC COP19 in Poland, 2013, and at June 2014 in Bonn. - INFORSE-Asia at Southern Voices on Climate Change in Asia. 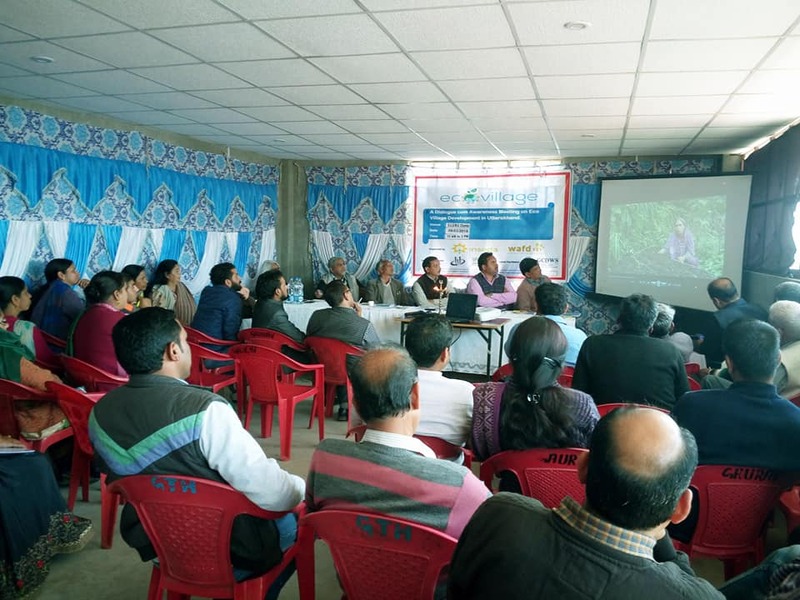 In Bangladesh, a video was made to hear the "southern voices" of happy solar home users (PV) providing electricity to lamps, television and poultry shed. The video includes 2 interviews made with solar home system users. The video was made Grameen Shakti in the framework of the Southern Voices Project. 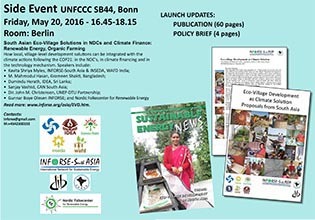 * Launch of Publication: "Combining Energy Access and Climate Protection"
Download the full text as pdf from Publication (updated December 2014). • May - June, 2014 "Southern Voices on Climate Change" regional NGO Meetings and INFORSE-South Asia Meetings in Nepal, and Sri Lanka. AIWC (India), CRT (Nepal), IDEA (Sri Lanka). _ National Networking Meetings in Bangladesh organised by Grameen Shakti. 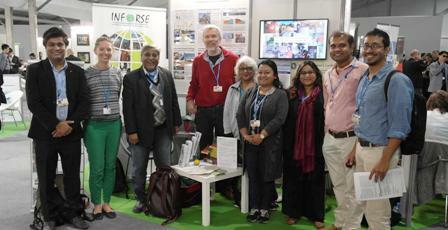 INFORSE-Asia participated at UNFCCC COP 19. - Usha Nair (AIWC), Raj Kalyani (AIWC), Zareen Myles (WAFD). Read on INFORSE-Asia's participation on previous UN Conferences. Side Event: Southern Advocacy and Campaign Experiences: Including the Southern Voices on Climate Change Program, where INFORSE Asia is active. Participant from INFORSE-Asia: Geeta Sinha (AIWC). 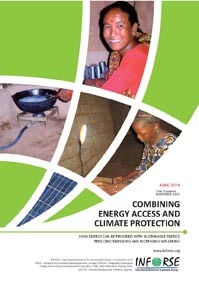 "Combining Energy Access and Climate Protection"
Compiled by the INFORSE members Draft Launched at UNFCCC COP19. 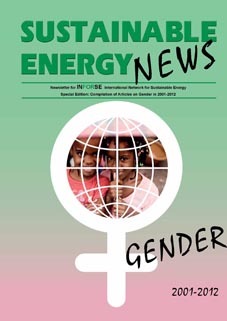 Compilation of Articles on Gender in Sustainable Energy News. The articles cover several activities in INFORSE South Asia. Link to the Reader is under the Theme Gender. 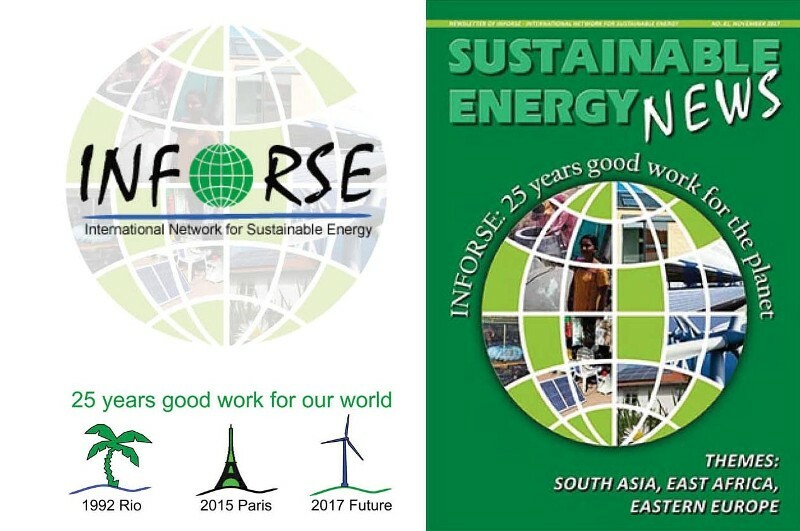 • 2012 Publication "Energy Access Cases in Asia and Africa"
The capacity building of INFORSE-South Asia is coordinated by VedvarendeEnergi - a Danish Member of the Program's Consortium and the INFORSE-South Asia Coordinator (INSEDA) and INFORSE members in the region. 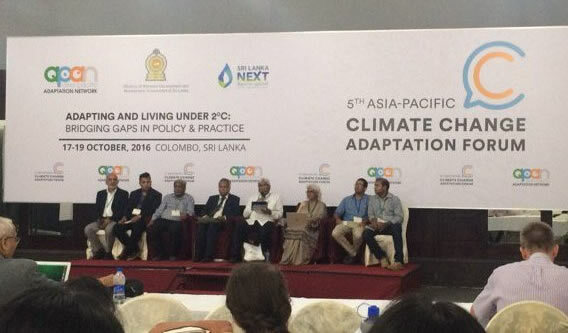 INFORSE-Asia participated at UNFCCC COP 18. - Raymond Myles (INSEDA/INFORSE South Asia Coordinator), Usha Nair (AIWC), Zareen Myles (WAFD). 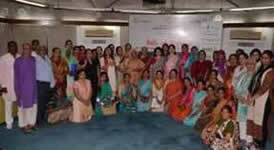 - Annual Knowledge Sharing and Learning on August 22 and 23, 2103 Workshop at Agra, India. INFORSE-South Asia members made represented included: AIWC, INSEDA, WAFD from India; CRT from Nepal, IDEA Sri Lanka, Grameen Shakti from Bangladesh. 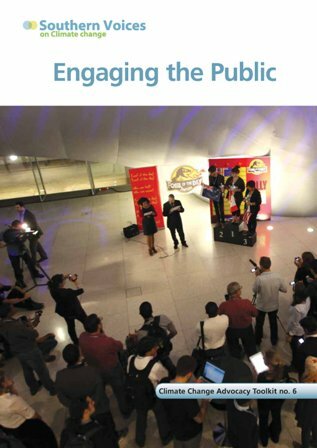 New report by the Southern Voices programme, involving INFORSE, Climate Action Network, CLACC and other networks: Report Reveals Key Role for Civil Society in Policymaking in a Changing Climate. Read more: INFORSE at the Southern Voices Project. INFORSE participated as NGO observer at UNFCCC COP17. Exhibition and a Side Event on December 2, 2011. Several INFORSE-Asia members participated (e.g. INSEDA, WAFD, and AIWC from India). "A Vehicle for Cooperation: INFORSE Regional Workshop", November 1-2, 2011, New Delhi, India, page 7. Launch of a new NGO project - Southern Voices Capacity Building Programme. 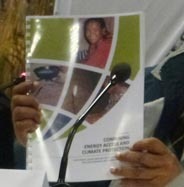 The 2011-2012 Southern Voices programme was coordinated by CARE Denmark and was funded by DANIDA. INFORSE-Asia participated. 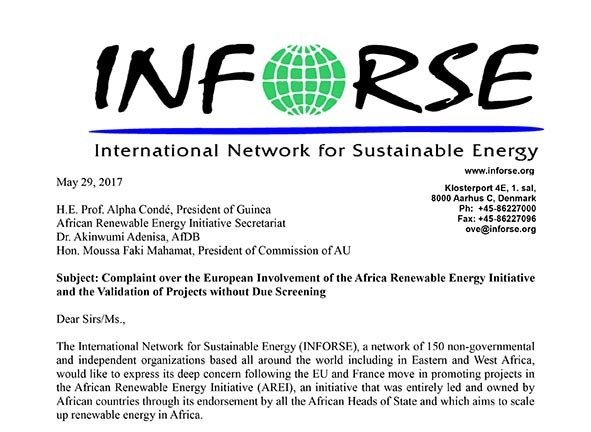 Among the involved INFORSE organisations were: From Asia: INSEDA, India; From Europe: The Danish Organisation for Sustainable Energy (VE); From Africa: ENDA and Mali Folkecenter. Read more about the new Project: Southern Voices on Climate Change. - Top from left: William Chadza, CEPA, Civil Society Network on Climate Change, Malawi; Boubakar Fall, CLACC fellow, ENDA, Senegal; Emmanuel Seck, CAN West Africa, ENDA, Senegal; Hannah Reid, IIED; Ange David Baime, JVE, Ivory Coast, member of WANET CSD; Sherpard Zvigadza, CLACC fellow, ZERO, Zimbabwe; Poul Erik Lauridsen, CARE Denmark; Pierre Dembele, WANET CSD, Mali Folkecenter, Mali; Maiga Mahamadou Farga, CLACC Fellow, Amade Pelcode, Mali; Mónica Lópes Baltodano, Suswatch, Nicaragua. - Bottom from left: Moussa Na Abou Mamouda, AfricaAdapt, ENDA, Senegal (previous CLACC Fellow); Sanjay Vashist, CAN South Asia; Charles Meschack, Tanzania Forest Conservation Group, member of Accra Caucus on REDD and Forests; Achala Chandani, CLACC Fellow Bangladesh, Caritas Bangladesh; Taukei Kitara, TuCAN, Tuvalu; Vivian Lanuza, Suswatch, Guatemala, Fundacion Solar; Raymond Myles, INFORSE South Asia, Inseda, India; Marstella Jack, CAN Micronesia; Maria Isabel Olazabal, Ibis Central America; Peter With, Coordinator, Southern Voices Capacity Building Programme; Mahima Njaidi, Mjumita Forest Network, Tanzania; Raja Jarrah, Care Tanzania, Accra Caucus; Betty, Mjumita Forest Network, Tanzania; Oumar Tankari, Care Niger; Maïmouna Konaré, FEMNET Mali, AWLAE; Elvin Nyakura, CLACC Fellow Kenya, ACTS. 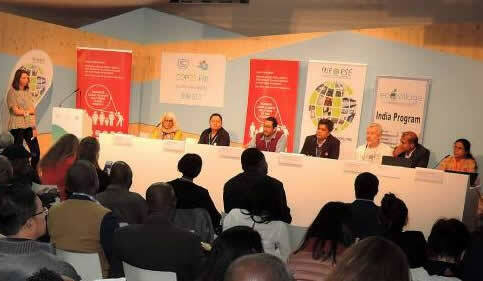 INFORSE participated as NGO observer at UNFCCC COP15 in Copenhagen, Denmark. 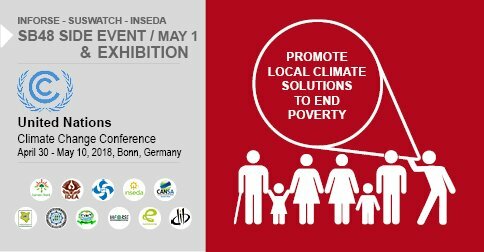 INFORSE also had an exhibition stall and a side event both at the Bella Center and at the Klimaforum at the DGI-Center. From the INFORSE-Asia, Coordinators and National Focal points participated: INSEDA (India), WACF (India), CRT (Nepal), and ISEP (Japan). 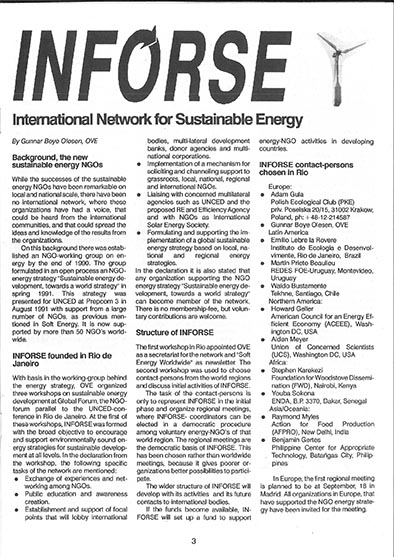 INFORSE participated as NGO observer at UNFCCC COP14, December 1-12, 2008. INFORSE also had an exhibition stall and a side event. 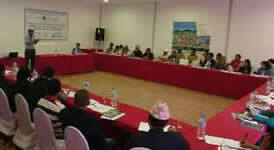 From the INFORSE Asia Coordinators and National Focal points participated: INSEDA, AIWC (India), CRT (Nepal), ISEP (Japan). 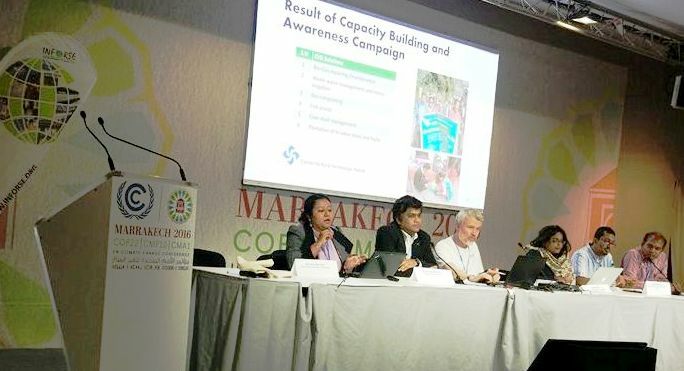 Read more on the INFORSE participation at the conference at COP14. Result of an INFORSE project 2005-08. 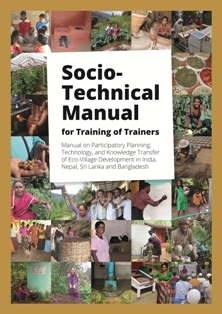 The CD includes the Manual in 5 languages: English, Hindi, Nepalese, Bangladeshi, Singhalese. - IDEA from Sri Lanka is inviting international volunteers. Read more on IDEA at successes under Sri Lanka and the Project on Poverty Reduction Manual, or at the Current Situation under Sri Lanka. 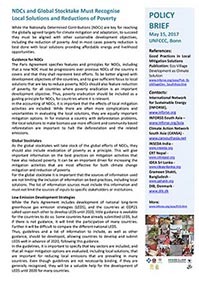 UN CSD Conference: INFORSE South-Asia organisations participated on the UNCSD 15, 2007. 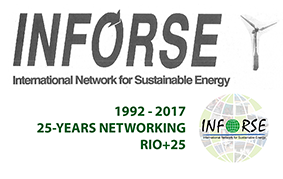 You can find information about INFORSE-Asia in Sustainable Energy News as well as news about NGO-activities and international processes for sustainable energy. 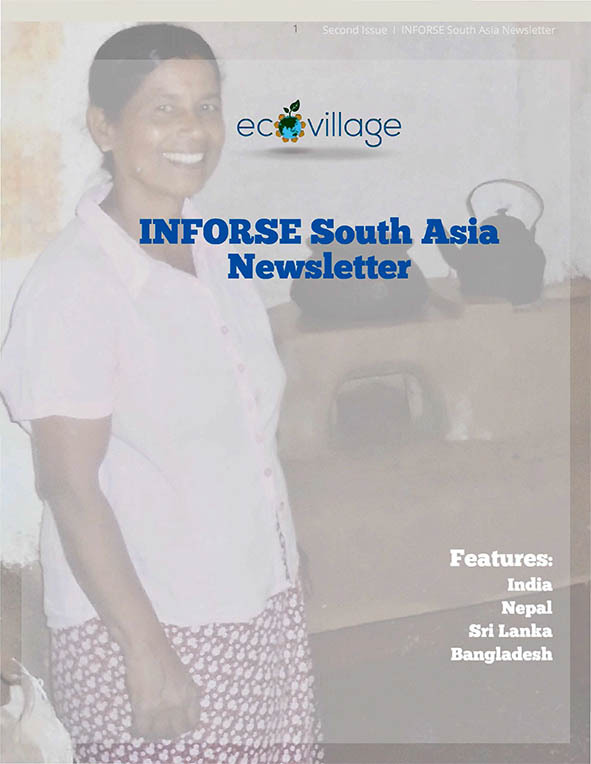 2005-2008 Project: INFORSE - South Asia is working on a project to provide NGOs with information and assistance to work better on sustainable energy for poverty alleviation. Ideas, resources for local & national plans: potential, barriers, computer models. Your guide to make proposals for sustainable energy development that follows implementation of the Kyoto Protocol. or to the INFORSE-South Asia coordinator at: inseda [at] inforse.org.